DC-Supply A / S manufactures and supplies custom-built canteen containers for kitchen and temporary canteen facilities. All our solutions are available either in connection with regular sales or in the form of a lease or lease agreement. 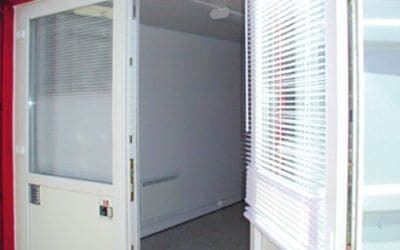 For example, if your company is renovating existing kitchen or canteen facilities, you can purchase or rent a temporary solution at DC-Supply A / S, which can be quickly and easily installed near existing building. The size of a canteen container can of course be varied as needed, and with the possibility of serialising the containers, the flexibility is very large. DC-Supply A / S has thus delivered canteen container solutions with the ability to cook up to 400 men at once! At DC-Supply, we produce 20ft isolated ISO residential containers with kitchens, showers and toilets. A canteen container can also be delivered in the form of a container shed with kitchen, for example for construction on site. Here the kitchen and canteen facilities are assembled in a smaller unit, but the conditions are as inviting as in the larger solutions. The container is easy to move as needed, and offers your staff the same good conditions, regardless of where the job is done. Looking for inspiration, have questions or are you interested in additional information about a canteen container for your company, please feel free to contact us for advice and guidance.